These enhance the beauty of gardens by giving them an original touch. As they are placed in the outdoor areas, these are made to be rust and algae proof. Our granite monuments are exquisitely crafted to perfection. Our craftsmen have years of experience in the industry and we further train them to understand the latest requirements of the industry. We have all the necessary equipment like chisels and hand tools to carve exquisite monuments. This pen stand can be dually used as a pen holder and a paper weight. We are looking for export queries. granite engrving art by handi craft. We offer our clients Green Granite Statues of Lord Ganesh. Stature shows that Lord Ganesh is sitting in the Abhaya Mudra. Only genuine Indian Granite is sourced and further hand carved using hammer & chisel for making these statues. We employ all kinds of traditional and ancient techniques for making these statues. 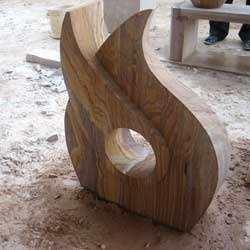 We offer different sandstone/marble/granite Ash Urn to our clients. 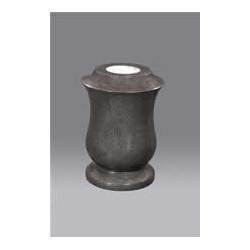 Ash Urn indoor and outdoor use are available in Granite Stone, Rainbow, Teakwood, Jodhpur Pink Sandstones. Colors and sizes can be customized on request.